Banjo-Kazooie: Nuts & Bolts is an action-adventure/vehicle construction/platformer video game developed by Rare and published by Microsoft Game Studios. It was first announced at the X06 Media Briefing. 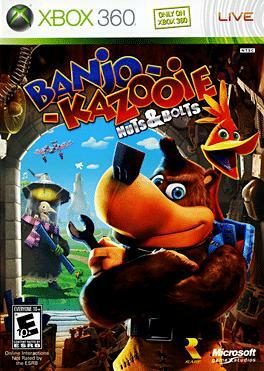 Banjo-Kazooie: Nuts & Bolts is the third installment in the Banjo-Kazooie series and takes place eight years after Banjo-Tooie.